My guest hijacker in this post is Bridget Straub who can usually be found at her blog bridgetstraub: Author, Artist, Mom. 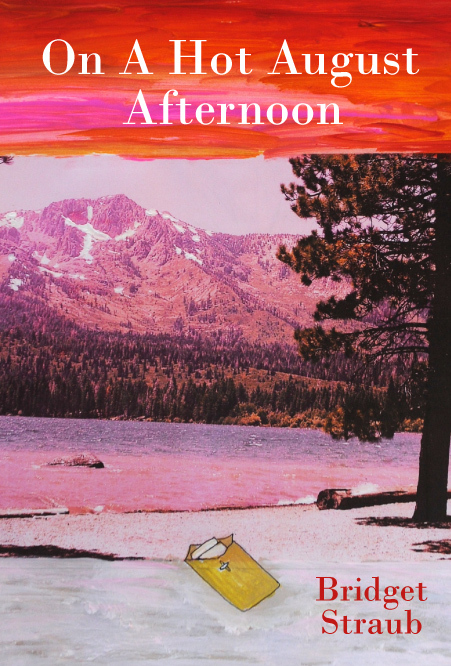 Bridget's latest book, On A Hot August Afternoon, is a scintillating story of life, love, and rock and roll--just the thing for some summertime reading. 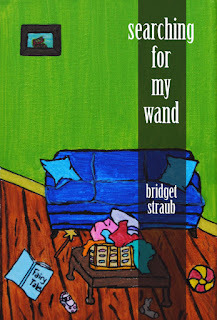 Paired with the author's first novel, Searching for My Wand, one could make this a "Bridget Straub summer of reading". To start things off, here's a bit of authorly musing from Bridget. I have been stressing over this guest post, as well as others I need to hurry up and complete. With the release of my second novel, “On a Hot August Afternoon”, I feel the pressure of the “make it or break it” mentality. When I released my first novel, “Searching for My Wand”, I thought I had everything in place. I had a Facebook page, I was on Twitter and I put a trailer up on YouTube. The reviews began to roll in and they were all 5 star! What more could I hope for, right? Sales! I could hope for sales, and I’m going to be honest with you, I have not become an overnight success. I had visions of hundreds of sales a day. I knew it wouldn’t be instant, but like a snowball rolling down a mountainside, I imagined that it would build. Instead there was a flutter, and then it fizzled out completely. I did more research and discovered this is far more the norm than any real success. I also read that until you have a larger library to build on, first books rarely find an audience. Although disappointing, this information was also promising, because if there is one thing I have it’s a vast supply of work to draw from. In the span of one highly productive year, I completed three or four novels and a musical, so there is no shortage of material. “Searching” was released in December of last year, and now I have “On a Hot August Afternoon” out in both paperback and eBook form. Theoretically, I should now be able to move on to choosing which novel I wish to edit next, except for the marketing of the first two books that needs to be done. One of the reasons I went with Kindle Select for the eBook version of this book (the first was published through BookBaby) was because of their KDP program, where you can put your book up for free for a day or two, as a way of boosting sales. Unfortunately, I have since been told repeatedly by a variety of authors that this tactic no longer works. That like anything that gets used too much, it has lost its appeal. Now the word on the street is that short of a large marketing campaign fueled by a lot of money, the only thing that sells books is word of mouth. As you can guess, this puts a lot of pressure on these guest posts that are one of the few things I can do to get my name out and begin to push that snowball down the mountain. As I’m writing this I am listening to Pandora and they are playing a song by Lenka in which there is the lyric, “I’m just a little bit caught in the middle, life is a maze…” That sums up my feeling about this whole process beautifully. I’m just trying to figure it out and to enjoy the show as I go along. Thank you, Bridget, for opening up like this and for being a part of my Hijack This Blog! summer program. You've got a lot of us cheering for your success. I'm sure Bridget's not alone in her situation. Let's hear from some of you who have been published. Has your experience been similar? Did your first books meet the expectations that you had for them? Any words of encouragement or advice for Bridget and other burgeoning writers? And how about you who have not yet been published: Does this sound discouraging to you? What kind of plan do you have in place for when you finally do achieve your publishing goals? This book sounds really good and I love the writing in this article itself so I'm surprised that things haven't run completely smoothly for Bridget but at the same time I hope things will improve in time. It is a little discouraging to read that things are not instant success after publication but I love Bridget's attitude and I hope that she never gives up. I'm with a traditional publisher, and even I can testify it takes time to build. But it will happen. And when you hit that tipping point, it's awesome! 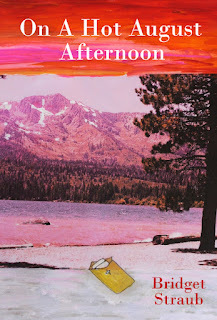 I'm going to download "On A Hot August Afternoon" who does want to read about life, love but especially rock and roll? I'm with traditional and I'm going to self-publish. It does take time, and a lot of hard work. Bridget, I can fully testify to the advice of others here, and other authors around the planet. We do expect great things because we love our work. We have to, after all. Otherwise, why do it? I wasn't an overnight success with my first either. And I though I'd nailed everything, re-written that story some 57 times, finaled in 3 contests, including an erotica one. Thought I was on my way. And after the initial bleep, an up and down road to decline. Bright spots along the way. I disagree with you about the KDP freebies: got 11200 downloads on that book in early June and it went to #1 on Fantasy Romance. And I earned .35 on that week. So I'm on my 4th, which is doing very well. Some people hit it big the first time. I have friends who have written 14 and then finally hit a winner. So I guess I'm about normal. It is hard when you have the blogging duties (you always wonder if you didn't do enough, and I think every author does), and you still need to edit and write fresh words. I try to keep a minimum daily of 2000 words so I don't get too far behind. Because when you need to write fresh, you can't be coming off a 2 week hiatus. Hang in there. I'm buying your book, too. And I do hope it takes off. It is a little discouraging and familiar. But like Bridget, I still have hopes as I develop a bigger library. Loved this post. Made me feel a little less lonely. I tried replying before and it didn't come up so I'll try again. Thank you to both Arlee for this opportunity and to all of the rest of you for all of your encouragement. I really am hopeful that I can crack this thing.Sharon, I'm curious how you advertised your KDP freebie. I did go ahead and tried it for 24hrs. and only got 553 downloads. One of the things I had been warned about was people who delight in writing nasty reviews and sure enough before the promotion was even over I had one. Knock wood though, that has been the only one. Actually, for 24 hours, that isn't bad. What happens is it builds on itself and gets stronger. I usually do the 5 day and just let it ride. I just put it out to FB and Twitter, had a couple friends of mine who re-tweeted it, etc. Not a big push. So much of this is trial and error. Like I said, the huge download didn't give me much in the way of $$, and that is what we're after. I know some authors, if I wait long enough, will have something free, and so I have to admit I wait for that. Well, the 1-stars are tough to take. We've had a lively discussion on this blog about that, and I certainly don't want to resurect this passion, but they come with the territory. Not a good enough reason not to do the free, IMHO. If you look at Nora Roberts, she gets some stinkers! JR Ward, JK Rowling. And then you see the ones with 500 5-stars, and I don't know about you, but I have a healthy dose of skepticism. Like some big loop got hold and did it. I've seen authors make up fake names and post 5 stars to vote down 1 stars - all this manipulation is sad, and I don't do any of it. That said, hey, I don't mind it if my friends are nice to me. I pay back in kind, without being false, and that's where I have to draw the line. I commented on one negative review and asked him to give me another chance. He had done a detailed review and I thanked him for his time. The next day, he commented (this is all public so be very careful) that he would give me a second chance because I was so professional, which another commenter added as well. At the end of the day we just do the best we can. We try to treat each other nice, fair. We tell the truth without slashing and burning, and we keep writing. One thing is for sure, if you keep writing, you keep getting better and better. And that will pick up all your future reviews. And then there will be those who still won't like you or your books. It happens. And always will. Thank you for this great post! I'm about to self-publish my first book. It's good to know what to expect. Thanks Sharon, and Christine regardless of any temporary disappointment, this has been so worth it, so best of luck to you! Encouraging in that you just go on despite the discouraging. I have no wip, no ms, and no real plans except in my dreams. I want to have an idea for a novel, but so far I keep making things that rhyme...and are short...I'm hoping my brain will wrap around a story, but maybe it just isn't in there for me. Or maybe it's just not yet. But I enjoyed your post and wish you the best! Thanks for the honest look at book publishing. Keep your head up. Sorry nothing much to add as my book ideas are all in my head. Kudos to you for putting them down on paper. Finally don't let the disappointment drown out your passion for writing! Self pubbing is such a huge undertaking. I'm going to have to decide one day which route I'm determined to pursue. A lot of people are doing both which is working well for some of them. It's not an easy road - but neither's writing a book - so obviously you have determination. :) That'll take you lots of places! Good luck with it! Great post, Bridget. You showed a lot of courage in being honest with the readers. I look forward to seeing your progress in the months to come. Thanks to all who left comments for Bridget. Thanks again, This was really encouraging feedback from everyone.